Knitters of all skill levels will rejoice in this colorful collection of 15 original shawl patterns. These stylish, versatile designs will complement any outfit, formal or casual, while offering the warmth and comfort of a cloak. Perfect for any season, the patterns include varying yarn weights and textures that provide the pleasures of year-round knitting. Their unique designs, rendered in bold colors as well as in neutral shades, offer a rich assortment of knitting choices. 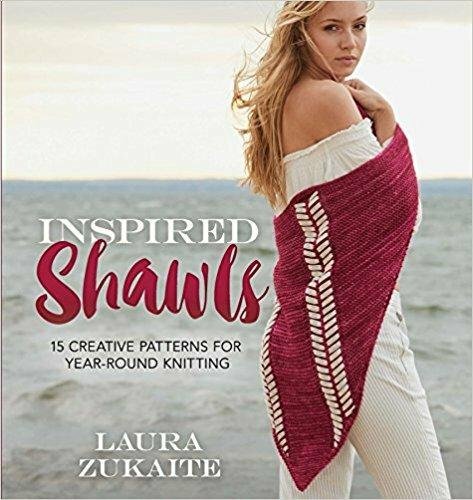 Author Laura Zukaite was inspired in the creation of these shawls by the vibrant handicraft traditions she observed during her South American travels. Beautiful full-color photographs illustrate the patterns, which feature herringbone and cable stitches, ruffles, stripes, geometrics, and other eye-catching motifs in an array of gorgeous, hand-dyed yarns. The diversity and abundance of designs guarantee that this book is one that knitters will turn to time and time again for an inspiring range of patterns.